Due to the fire and ongoing rebuild at the La Quinta, Man Cup has partnered with the Hampton Inn & Suites Valdosta-Conference Center to serve as headquarter hotel for the Man Cup Exoticycle / Roaring Toyz Spring Cup. 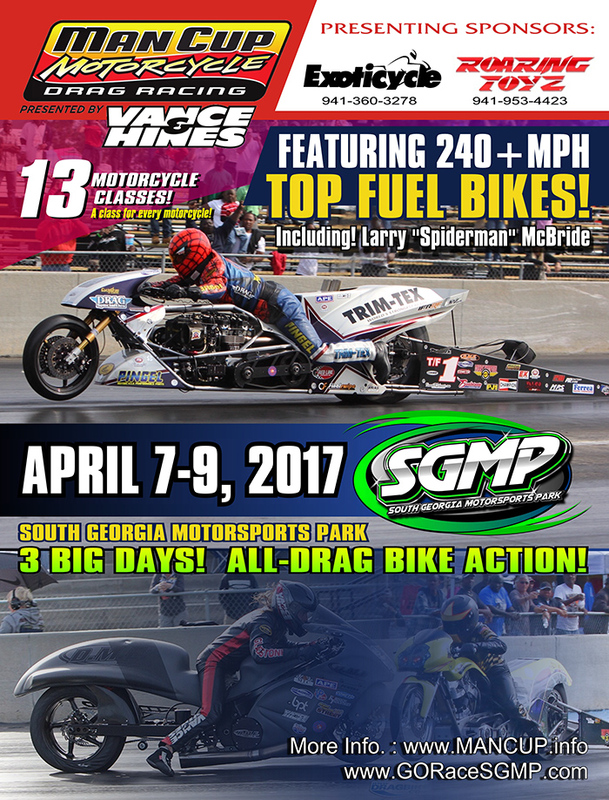 The 41st annual Spring Cup kicks off the five race 2017 Man Cup Drag Racing Series presented by Vance & Hines season. Racing across the weekend of April 7-9 , the series will begin the season-long process of determining the 2017 class champions. The headquarters hotel property is a straight shot straight down I-75 from the track. It’s prime exit 16 location provides for both dining and shopping options within walking distance of the hotel! Our April date is within the peak spring break period for the region so hotel rooms may be scarce. A limited number of deeply discounted rooms have been held for the ManCup event, assure your reservation by booking now! 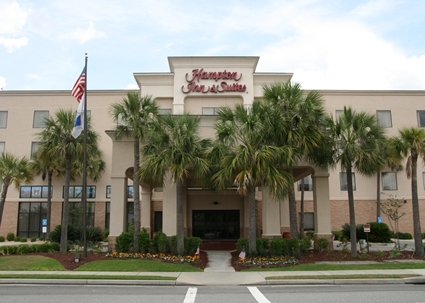 The very highly rated Hampton Inn & Suites Valdosta-Conference Center is a superbly ranked Hilton property. They provide a full HOT breakfast bar which includes eggs, grits, sausage, biscuits, gravy, cereals, fresh fruit, pastries, bagels, juice, milk and coffee to get your day started off right. And, you just can not beat a Hampton bed, period! The Hampton Inn & Suites Valdosta-Conference Center has blocked off a group of rooms and are holding the discounted nightly rate until March 24th for the ManCup event attendees.